If you’re interested in starting a charity you may have come across the term ‘Governing Documents’. So, what exactly is a Governing Document, and which one do I need? A Governing Document is the document which you follow to know how the charity should be run, so it tells you who the trustees are, how often they should have meetings and so on. It also explains what the charitable purpose of the organisation is. Essentially there are four to choose from, each are different and have characteristics that suit particular types of organisation. Firstly, we have the ‘Trust Deed’ or ‘Declaration of Trust’. This is a fairly simple and straightforward document that can be prepared quickly and ‘executed’ (that is, it becomes live) as soon as it is signed by the trustees. 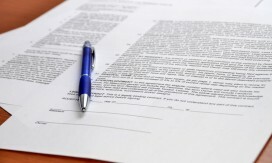 The trustees signatures need to be witnessed by someone not connected with the Trust. This is a particularly good document for charities that are likely to stay relatively small, not have a huge number of trustees and is unlikely to enter into contracts for employment or services. Secondly, we have the ‘Constitution’ which is known as an ‘Unincorprated Association’. This is particularly good for organisations where Trustees represent groups with different interests. For example, a local community ventre may have a trustee representing each of the groups that use it; the mothers and toddler group; the short-mat bowls group; the amateur dramatics group and the historical society group, for example. Each person ensures that their group gets full representation. Thirdly, we have a ‘Company Limited by Guarantee’. This has a ‘memorandum and articles of association’ and it is known as an ‘Corporate Body’. This is a particularly good structure for charities that are likely to be entering into contracts to provide services or charities that employ people, as this structure gives what is called ‘limited liability’ to the trustees. This means that should the charity become insolvent then the trustees will not be personally liable for any debts, as long as they have acted appropriately. The down side of the Company Limited by Guarantee is that you have to register with Companies House (which costs time and money) and you have to file annual returns with them and the Charity Commission. Finally, there is the newly established ‘Charitable Incorporated Organisation’, or CIO. Although the governing document (the ‘Constitution’) also gives limited liability like the Company, you do not have to register with Companies House nor file annual returns with them. The only people you need to deal with are the Charity Commission. So when it comes to setting up a charity, see which Governing Document might suit you best. Charity Expert will always be happy to advise further and in more detail, and the great news is, is that we have all of the Governing Documents available as part of our Packages.